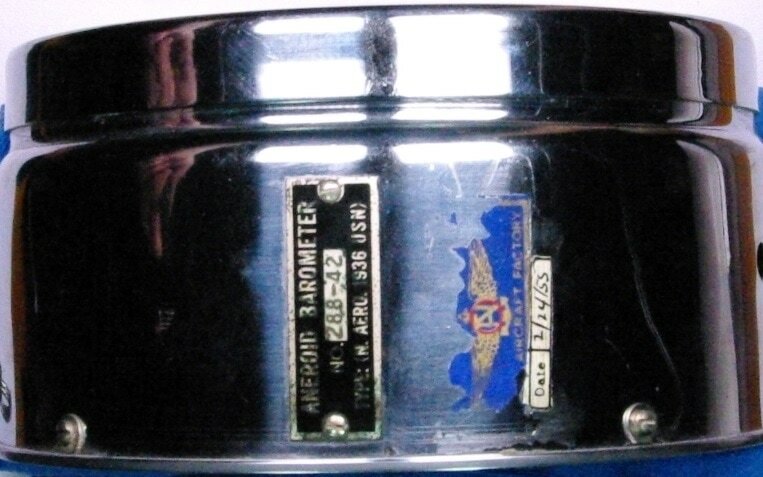 This 1942 Friez N Aero 1936 USN Barometer was used by the US Navy in WWII. It is a portable instrument that was used to set the altimeter readings in naval aircraft. It has a 5 inch dial. It measures barometric pressure in the range of 880 mb to 1060 mb. A previous user has written the pressure values in inHg on the outer edge of the dial. ​Go to the Friez catalog page.